Jones has been deleting his tweets talking chit about Adesanya.. Unfortunately a fight between these two wont happen for a while unless Jones wants to drop down to middleweight. It would be a good fight, you know what everyone's gonna say "Adesanya wouldn't stand a chance with Jones" blah blah cause it's Jones and that's what people say about anyone who goes up against him but I think it would be a good match up. I mean, when are people gonna stop saying it's a hype train and give Izzy some credit? He went in against Gastelum and it was a brawl, he got beat up, something we've never seen before with Izzy yet he showed that he has resilience and is tough, which both those guys showed in that fight and brought a great fight, probably one of the best fights we've seen in a long time and they both really went up in my estimation. Jon is not invincible, he's going to lose at some point and it's going to be someone who people say won't do it (as that's what they say about anyone who goes up against Jones). If they sort out the weight class thing and have the fight it could be really good, I'd like to see it. I mean, when are people gonna stop saying it's a hype train and give Izzy some credit? He went in against Gastelum and is was a brawl, he got beat up, something we've never seen before with Izzy yet he showed that he has resilience and is tough, which both those guys showed in that fight and brought a great fight, probably one of the best fights we've seen in a long time and they both really went up in my estimation. At no point will Izzy give Jon a fight. He’s to small, he just got beat on by a guy half his size. Jon is better everywhere, size and mma talent. I know you like to think everyone has some kind of shot but you’re way off on this one. Jon’s got about 5” in reach and over 20lbs in weight on Izzy. It shouldn’t even be able to get sanctioned, but if they did Jon would be -1000. That's part of his gimmick. This is the kind of thing people say often when fighters go up against someone but when they win, they go quiet then, you don't hear anything from them. I'm not saying Adesanya would beat Jones, but I do feel he would put up a fight with him simply due to Adesanya's fighting style, it's good and I'd like to see Jones deal with that, I'm not really bothered who wins. I saw loads of people saying this about Pettis having zero chance against Wonderboy but I never saw anyone saying "Oh sh!t, I was wrong" when he did, they all just go quiet. Exactly, like winning a brawl against a 170lb man compares to a 230lb Jones. Yea I doubt I’ll disappear if Jon tripped on his feet and KOed himself against Izzy. IYou just spew some nonsense, we could just say everyone has a shot until you get one correct and then it’ll be I told you so! You’re literally saying a man 40lbs less on fight night has a chance at beating arguably the best in the business. At this point I think you’re just shooting for a high post count. Offer some facts, you just keep referencing Izzy’s fight style. What about Jon’s reach and size that eliminates Izzy’s effectiveness? Or the fact that Jon could take him down at will and just pummel him. Or better yet how Jon could KO him with one elbow. Offer some insight as to how Izzy could combat any of the questions I asked you. This fight might actually happen sooner then we think considering what NewFC is doing lately. Jones is virtually out of suitable/marketable opponents and Izzy only got Rob, Costa and Romero. I will not be the least shocked that they make it happen if Izzy beats Rob. Nothing surprises me anymore with this organization, I mean remember the chick they fed to Valentina, some fights just shouldn’t be sanctioned. Jones would kill him with no training camp, and a sprained ankle. Honestly, I was not impressed with Izzy that much. Izzy has won a few but there’s a lot more matches at middleweight before he should even consider moving up. He’s faced maybe 3 top 15 guys since he’s been in the UFC, he’s still got about 10 more fights before he’s ran through the division. It hurts me to say this but Weidman, Rockhold, and Romero are all bad matchups for this kid. I didn't mean you, I just meant in general, that's all you see, where was all the people when Wonderboy lost to Pettis?, we never see any of them but we always see the "Told you so" people, like it scores a point or something. Yeah we can say everyone has a shot if we want, but like I said above, I don't give two sh!ts about who wins the fight, it's a fight I'd like to see and not for who does or doesn't win. Yeah, Jon's fight style is good or we could just have another fight again similar to all the one's we've seen of Jones before. Look, I couldn't give two sh!ts whether the fight specifically with Izzy and Jones goes ahead but I would like to see a different style of fight for Jones and that's something I feel Izzy brings, I wanna see something different with Jones, it's something I'd like to see and that's it. High post count? There seems to be a thing round here where people seem to think people give a sh!t about post counts and likes and things, pretty sad if that's something you even take notice of let alone give a sh!t about, it's a bloody forum, a place you come between breaks, when you're bored or to see what's going on in UFC. Some people seem to live their life around a forum where as others just like to come and talk about the things they have in common with others, people should be the latter (and again, I don't mean you, I just mean in general). You are absolutely right, m8 but you are missing one thing: the UFC does not care for logic anymore! Izzy is a lot of talk & flash, no power or unique skills in my opinion...he's just long and fast, that's not enough against the best. Hype train I'm not getting on. I would love to see Jones vs Stringbean. 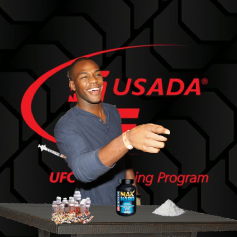 I imagine Jones would just walk straight through the pillowfists and grab a bulldog choke or standing guillotine, then drop the turd on the floor like he did to Machida. I had the same feeling after the Gastelum fight. Jon has probably fought against every style the game offers. Hes beat the best wrestlers, kickboxers, BJJ, and karate guys the division has to offer. I can’t see how it would be entertaining or challenging to face Izzy, for us or Jon. Actually if you enjoy one guy getting his career shortened in one fight, it may be entertaining, but I actually would like to see the kid grow and have a long career. I thought for sure Gastelum was going to knock him out cold, I'm still not impressed with Izzy at all. Yeah I hate that piece of chit but hes a good fighter. He would pick Izzy apart. It would be a unfair fight as of today assuming they fight at LHW....maybe in about 3-5 years when Israel is in his prime and Jones is towards the end of his career....If jones didnt roid it could actually be a decent fight at MW. So it is unfair for this fight to happen now (unfair for Izzy) but not unfair for Jones in the end his career ? Nah, *** that! Izzy is now the interim MW champ and presents HIMSELF as the new deal so yeah he should fight Jones now. Rob and Romero will do some damage on Izzy. This. I still don't get why people don't see that KG's boxing is absolute trash. Yes he landed, but that says more about how hittable Izzy is. Izzy is 3 months away from 30. He's in what should be his prime right now. Since he just started recently BJJ, wrestling and grappling it will take a bit more time for him to reach his prime IMO.....maybe around 33ish. Maybe. His entire game is built around speed and reflex. Athletically he will most likely slowing down by then unless he uses the Anderson Silva method. Then he will be good until 36 or so. Bro why do you always do this? Before the fight you were saying Israel was the greatest thing since sliced bread. LOL. I'm not even convinced Israel beats Anthony Smith never mind Jones. If they were the same size, it would be a great fight. Unfortunately, Jones is too big and imo he's on the verge of moving to HW.